being one of the largest Hindu temples in the world. It is included in the list of UNESCO World Heritage Site since 1991. The legend of Roro Jonggrang. 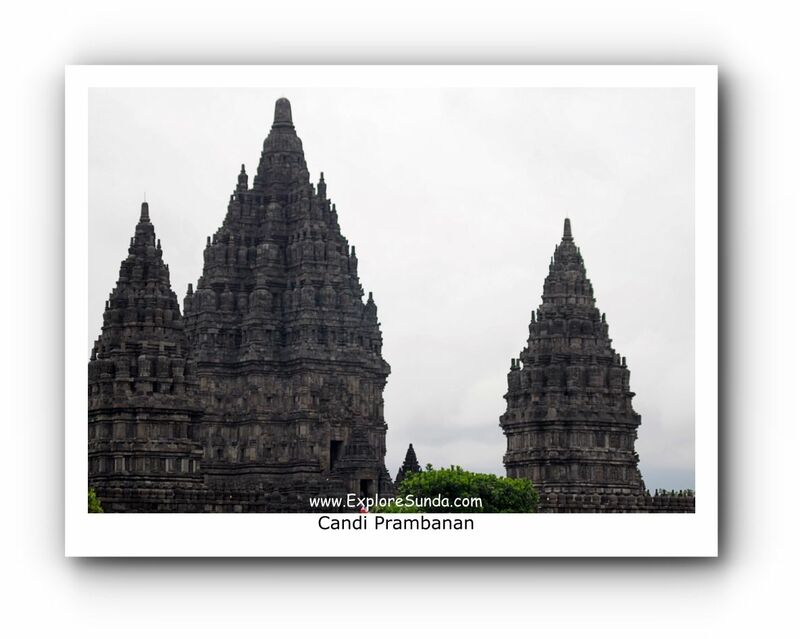 Prambanan temple is named after the village it is located. Presently, it lies in the land of Jogjakarta and Central Java provinces. Therefore, we can easily find the entrance gate to Prambanan complex next to the provincial road connecting the city of Jogjakarta and Solo. 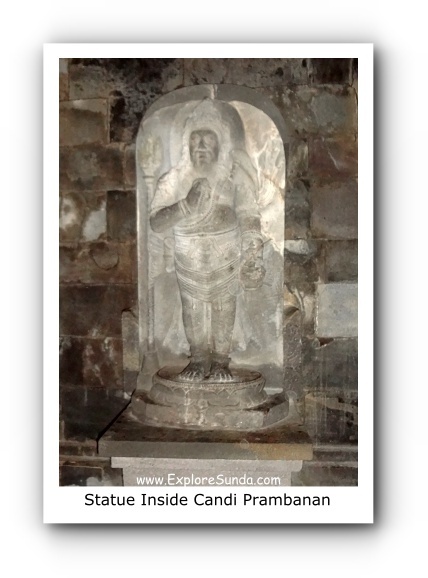 Rakai Pikatan from Sanjaya Dynasty started to build Prambanan temple in the mid of 9th century. Then the work was continued by his successors. 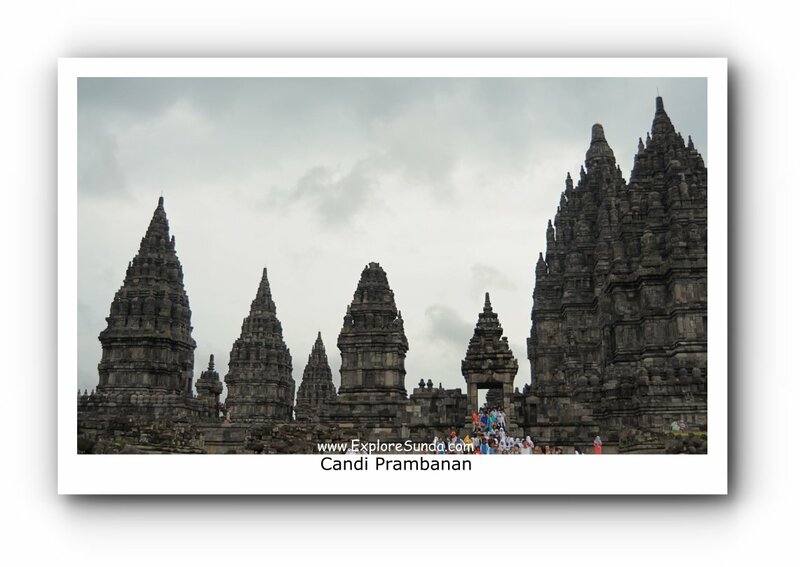 Unlike Candi Borobudur that consists of 1 huge temple, Prambanan temple is a compound that consists of hundreds of temples. It is divided into inner zone and outer zone. The Prambanan complex is dedicated to the three divines god of Hindu: Siva (the destroyer), Brahma (the creator), and Vishnu (the keeper), each has its own temple. However, the largest one belongs to Siva. Each god has a magical vehicle: Siva rides a bull named Nandi, Brahma rides a sacred swan named Hamsa, and Vishnu rides a mythical bird called Garuda. Each of this vehicle has its own shrine right in front of the respective gods. In addition, there are ten small shrines in between them. They are all made up the inner zone. 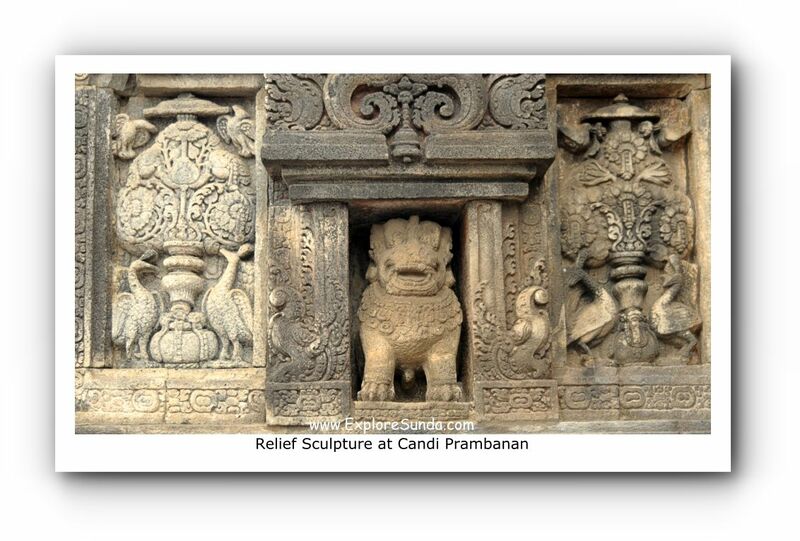 The outer zone consists of 224 Pervara temples or Guardian temples. They are small in size and identical. Unfortunately, we can only see their foundation. It is almost impossible to restore them, since the stones are scattered everywhere due to the earthquake, looting and thievery. The walls of Siva and Brahma temples are decorated with relief sculpture of Ramayana epic. This story inspired the famous Ramayana ballet. They perform on average 15 times per month. They perform in the open theatre during dry season and in the indoor theatre during rainy season. Of course the best performance is the one in the open theatre during full moon, because the backdrop is the Prambanan complex itself! If you are interested to watch Ramayana ballet, you may check the time and date of the venue directly here. Roro Jonggrang’s legend makes Candi Prambanan is also known as Roro Jonggrang temple. This legend connects Candi Prambanan to Ratu Boko. Ratu Boko is a complex near Prambanan temple. Until now archaeologists are still unsure what is the function of Ratu Boko, but it looks like a palace within a fortress. The legend starts with the marriage proposal from Bandung Bondowoso to princess Roro Jonggrang. She didn’t want to marry him because he murdered her father: King Boko. Since Roro Jonggrang couldn’t directly reject it, she put a condition to the proposal: Bandung Bondowoso had to build 1,000 temples in one night. He agreed to the condition and asked spirits (underworld creatures) to help him. When the princess found out that Bandung Bondowoso almost succeeded, she woke up all of her maids and villagers to begin pounding rice and set up fire, to make it looked like the sun had risen. It fooled the roosters, so they started to crow. Hence, all the spirits abandoned their work and returned to their world. When Bandung Bondowoso found out Roro Jonggrang cheated on him, he turned the princess into a stone and put it in the 1000th temple. The legend continues to the Durga statue in the Shiva temple, which is believed to be the cursed princess. 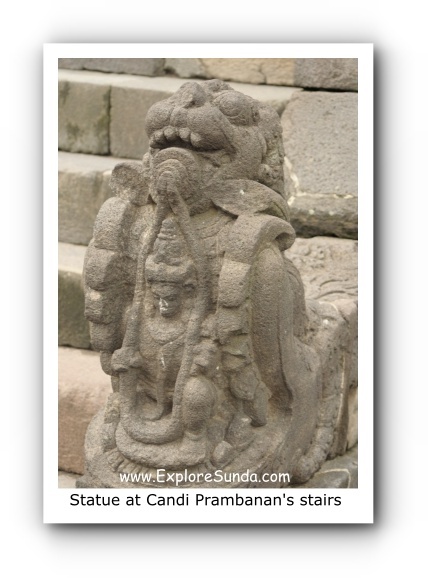 It seems the ancient Buddhist and Hindu kings favour the area surrounding Candi Prambanan. Thus, we will find many temples nearby, although they are much smaller and not as magnificent as Prambanan and Borobudur temples. Have you checked out below articles on other famous temples in this site?